The fire and explosions began around 3:30 a.m. at the defence ministry’s depot No. 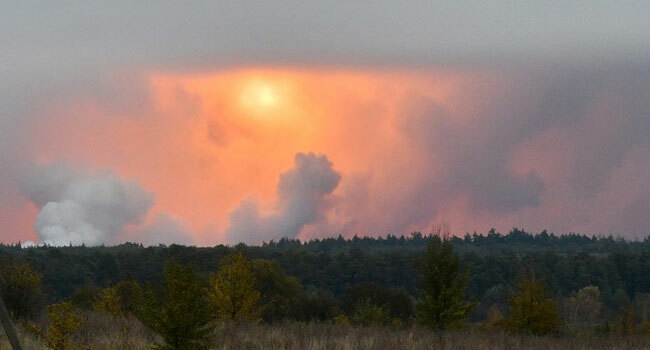 6, which is spread over about 700 hectares (1,700 acres), the emergency services said in a statement. The size of the area affected was not known. Prime Minister Volodymyr Groysman traveled to the scene and chaired a meeting of emergency services officials. 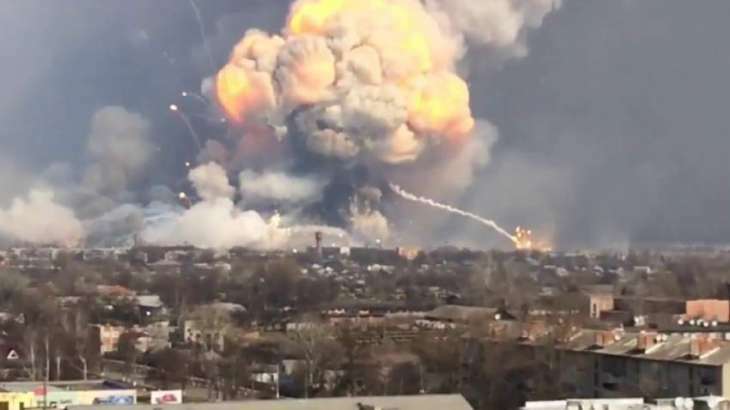 Authorities closed the airspace in a 30-kilometer radius around the site, as well as rail and road traffic as more than a hundred firefighters, worked at the scene. The post Fire And Explosions Erupt At Ukraine Arms Depot appeared first on Channels Television.